With the temperatures continuing to drop and our first snow yesterday (only flurries in DC!) 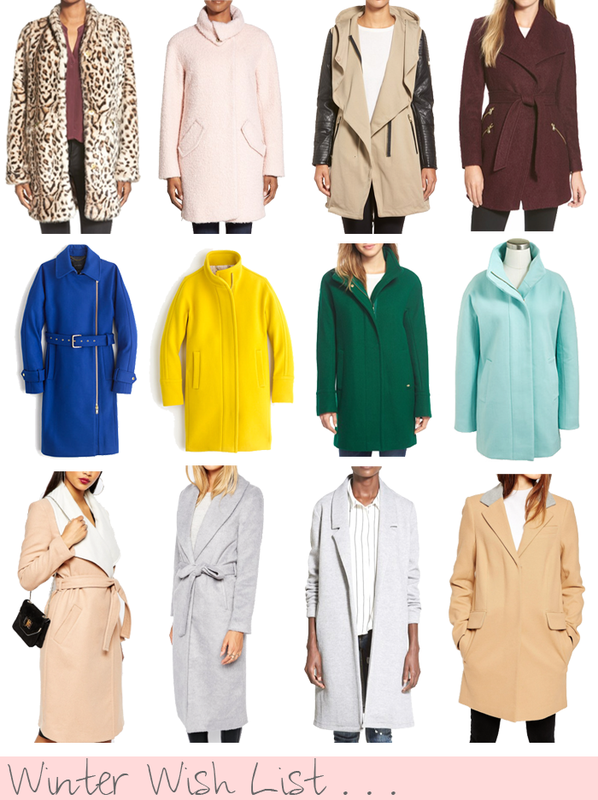 I've been dreaming of new coats that actually make me want to brave the colder temperatures and windy walks. If you have to go out in the cold you might as well look good, right? I have a puffer coat but when I'm meeting up with girlfriends or dressing up for a night out the last thing I want to do is look like a massive marshmallow. I love my puffy black jacket but donning a turquoise coat in the cold is way chicer. I survive the cold temps with layers... a cute scarf and adorable beanie/glove combo make everything even warmer! What types of coats do you like to wear in the winter?